Why Buy Your Bike at our Shop? Cycling Concepts promotes cycling in many ways. We organize our own rides and support charity rides sponsored by other organizations. We support organizations that distribute used bicycles and teach bicycle safety. Cycling – live it. Mark Your Calendars! Cycling Concepts Annual Two Ferry Metric Century will be held Sept. 19th. Don’t miss this epic event! At Cycling Concepts you'll find the bicycles, accessories and service you need to ride for any reason. Guaranteed. Now in two locations in Connecticut... Rocky Hill and Glastonbury! 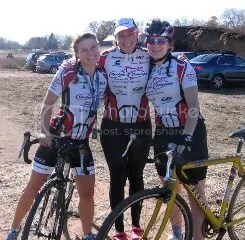 We're excited to sponsor a women's and a men's racing team here at Cycling Concepts. And, we're proud of their skills, accomplishments and especially their mission - to encourage and develop all cyclists to reach their own highest level of cycling ability. CC University is our new initiative to make cycling knowledge fun and accessible. "Know Your Bike" Maintenance Classes are the first component. Click here for more details.